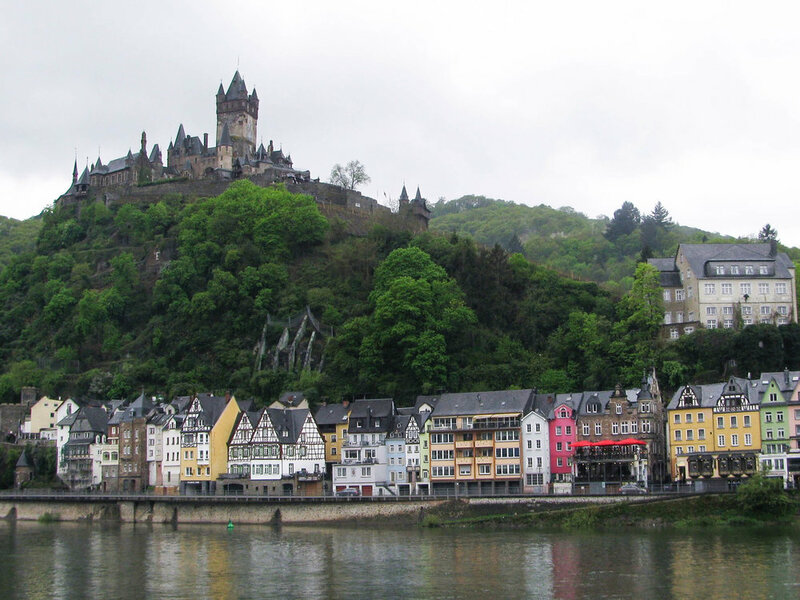 This town is in the Mosel Valley. After walking along the beautiful Mosel River, we crossed the bridge and stopped in a little stone building for some drinks. We quickly learned from some happy locals that in this town, it’s not German beer that you want, but wine! Their Riesling specifically. There are beautiful vineyards going down the river that make for a beautiful view and a tasty glass! We had a blast in this charming village, strolling down the river, through their squares and up to the castle that sits atop a lovely vineyard. We spent one evening getting lost on their slippery cobblestone streets, wandering our way up to the castle, to get a beautiful view of the valley. Since we weren’t close to any major train stations we felt like we had the town all to ourselves. Our walk was quiet and romantic, and to our surprise, we had the whole castle courtyard to ourselves. There was not a sole in sight, even looking down from the castle gates the people on the streets, though few, seemed to disappear. No crowds to push through or tourist snapping pictures of everything (I’m probably the most guilty tourist of all) just my husband and I enjoying the peacefulness of this beautiful castle and the little village it looked over! On our second day, we found a chair lift that carries you up to a restaurant and walking paths that look over the village. Definitely worth the trip! The view from there is just breathtaking!